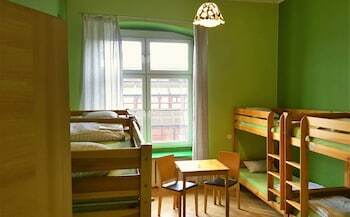 Located in Wroclaw (Wroclaw City Center), Cinnamon Hostel is within a 15-minute walk of Rynek and Wroclaw University. Featured amenities include express check-in, a 24-hour front desk, and luggage storage. Self parking (subject to charges) is available onsite. A stay at Tenement House places you in the heart of Poznan, within a 10-minute walk of Old Town Square and Musical Instrument Museum. Self parking (subject to charges) is available onsite. With a stay at Dom & House - Apartments Sunrise in Sopot (Karlikowo), you'll be a 4-minute walk from Museum of Sopot and 5 minutes by foot from Sopot Beach. Free self parking is available onsite.